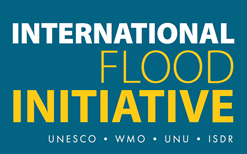 March 30, 2010 UNESCO intends to launch a series of publication on floods as a contribution to the joint International Flood Initiative (IFI). This will be a series of four books that are proposed under the joint title " Management of Water Related Disasters in a Changing Climate". The book will focus on climate modeling, hydrologic modeling, hydraulic modeling and disaster risk management. March 26, 2010 IFI Action List. Click here for more information. January 26, 2010The Forth IFI Meeting (e-meeting using SKYPE, 26 January 2010). The forth meeting of the Advisory Committee of the International Flood Initiative (IFI) was held in the form of a net-meeting (e-conference) with nine representatives from UNESCO (IHP and IHE), WMO, UNU (ISP and EHS) and ICHARM on Tuesday, the 26th January 2010. This e-conference was held in conjunction with an ongoing IFI e-WS which ran from January 4 to March 2, 2010. Please click here for more detail and the meeting's outcome. March 1, 2010 The United Nations University Institute for Sustainability and Peace (UNU-ISP) is developing a web-tutorial to (a) Identify a number of topics and prepared web based information, links to existing tutorials, design new tutorials and (b) Develop / make available existing educational materials related to UNU courseware as web tutorials. UNESCO-IHE and ICHARM will also participate in the project. The Special Event on “Charting Global Agenda for Water-related Disaster Risk Reduction - A follow-up on the report of the High-level Expert Panel on Water and Disaster (HLEP/UNSGAB) was organized by the International Flood Initiative (IFI) on June 19. 2009 in Geneva. The event was opened by official statement of the Ambassador of Japan in Geneva and more than 25 representatives of different organizations took part it. The main conveners of the event were WMO, UNU, UNISDR, UN/ESCAP and ICHARM as the IFI Secretariat. The workshop emphasized two very important commitments for IFI in the “Water and Disaster” report drafted by the high-level expert panel on water and disaster of UNSGAB. ( IFI Commitments, PDF- 761KB). Please check here for more detail information. Before closing the workshop, dates for the 5th International Conference on Flood Management (ICFM5) were discussed and decided to be 27-30 September 2011. The next meeting of the IFI AC/MC will be held in Geneva on the occasion of the 2nd Global Platform for Disaster Risk Reduction to be held on 16-19 June 2009. 12 March 2009: The first issue of the IFI Newsletter has been published (PDF, 735KB). In this issue you will read about IFI news and coming events as well as two interviews with IFI partners. in touch with the appropriate contact. 27 November 2008 The website of the 4th ISFD (Toronto, 5~8 May , 2008) has been migrated to this website. Please follow the link to ICFM in the left menu and there you will have options to choose between 4th and 5th conference. 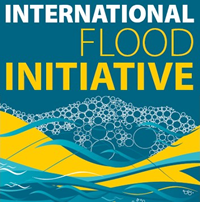 - IFI briefs: About 2 pages (at most 4 pages); a brochure-type multilingual publication to communicate flood issues and available solutions to governments and policy makers. They can be in a printed format or web-based. - IFI reference series: A kind of guidebooks and manuals to fulfill gaps and elaborate in detail on flood issues and solutions for practical use with respect to ongoing activities at WMO and various other available texts. - IFI web tutorials: web-based education and training with respect to the available e-courses at UNU and UNESCO-IHE. In order to promote the exposure of IFI activities, it was agreed that the IFI Secretariat at ICHARM should publish IFI newsletters and periodical reports. They can be distributed using the UNESCO-IHP network as well as WMO-CHy and other relevant networks. The next meeting of the IFI AC/MC will be held at Geneva-WMO Headquarters on the occasion of the 2nd Global Platform for Disaster Risk Reduction (16-18 June 2009). - Research activities (39 activities) is a dominant type of activity, compared with education, information networking and technical assistance. - Flood risk management (44 activities) is the major topic compared with the flood vulnerability, governance & participation and early warning & emergency management. - Two-thirds of the flood activities scope is regional and international scale. - There is 7 activities from 4 different organizations aligned on extreme events and large floods. - A table of 11 activities are listed there as future opportunities to consider in the IFI Action Plan. The original reports is available upon request. Please send us your request for the original report of Mapping Activities to the IFI Secretariat at ICHARM. 31 July 2008 Science Council of Japan compiled a proposal entitled "Adaptation to Water-related Disasters Induced by Global Environmental Change" (PDF, 530KB). 29 July 2008 The 5th International Conference on Flood Management (ICFM5) will be held in Tsukuba, Japan in 2011. The ICFM5 will be hosted by the International Centre for Water Hazard and Risk Management (ICHARM under the auspices of UNESCO) and the Ministry of Land, Infrastructure, Transport and Tourism (MLIT) of Japan. July 14, 2008 IFI website has been launched. May and June, 2008 IFI partners submit their IFI -related activities to the secretariat using the same format (MS-Word, 28KB). To see the list of the activities login here by entering you user ID and password. May 5, 2008 The second IFI Management Committee (IFI-MC) meeting was held at the Institute for Catastrophic Loss Reduction (ICLR), in Toronto on Monday, the 5th May 2008. At the outset, the participants selected Mr. Salvano Briceno, Director of the International Strategy for Disaster Reduction (UNISDR), as the Chair. Click here to see the list of the participants and meeting Agenda. It was decided that the next meeting of the IFI-AC will be held in conjunction with ICHARM’s international advisory board meeting in Tsukuba, Japan on October 2nd. May 8, 2008 The IFI session with the title of "Strategy for mainstraeming flood risk reduction in society" was held successfully in the 4th International Symposium of Flood Defence, Toronto, Canada on May 8, 2008. The panelists: Avinash Tyagi (WMO, Director of Division of Hydrology and Water Resources), Yuichi Ono on behalf of Sálvano Briceño (ISDR Executive Director), Andreas Schumann (UNESCO), Erich Plate (UNU), Kuniyoshi Takeuchi (Director of ICHARM).